Action research is a systematic inquiry conducted by teachers and school administrators interested in gathering information for the betterment of their teaching and/or learning process as well as school environment. The action research is expected to motivate teachers to find solutions to problems they face when conducting teaching processes. 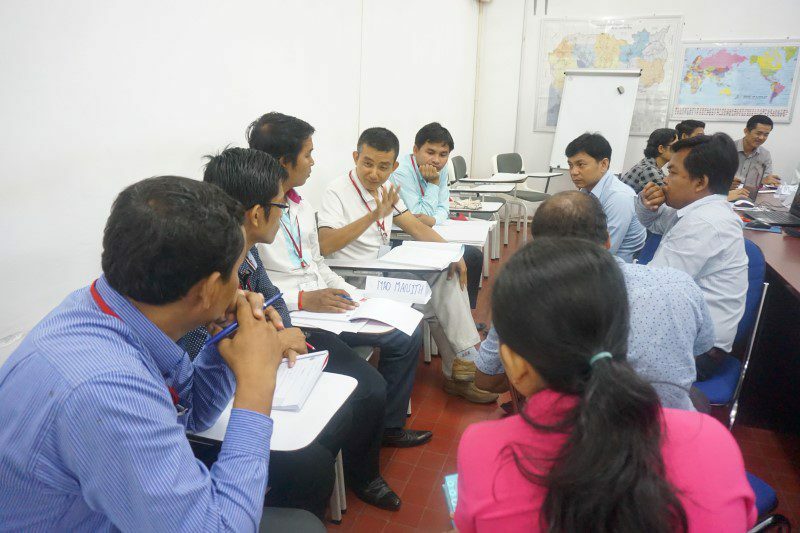 Considering that paradigm, SEAMEO QITEP in Language invited the Ministry of Education, Youth, and Sports (MoEYS) of the Kingdom of Cambodia c.q. the Teacher Training Department to organise an action research training for language teachers. 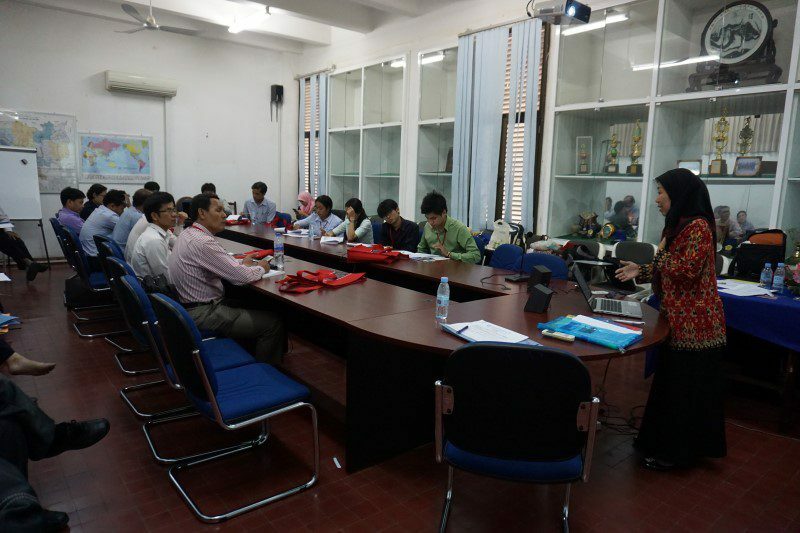 The programme was executed from 23 to 29 May 2016 at the Royal University of Phnom Penh (RUPP). Picture 1. Training participants and resource persons pose for opening ceremony. Picture 2. In groups, participants identify the research problems and discuss the possible methodology to solve them. 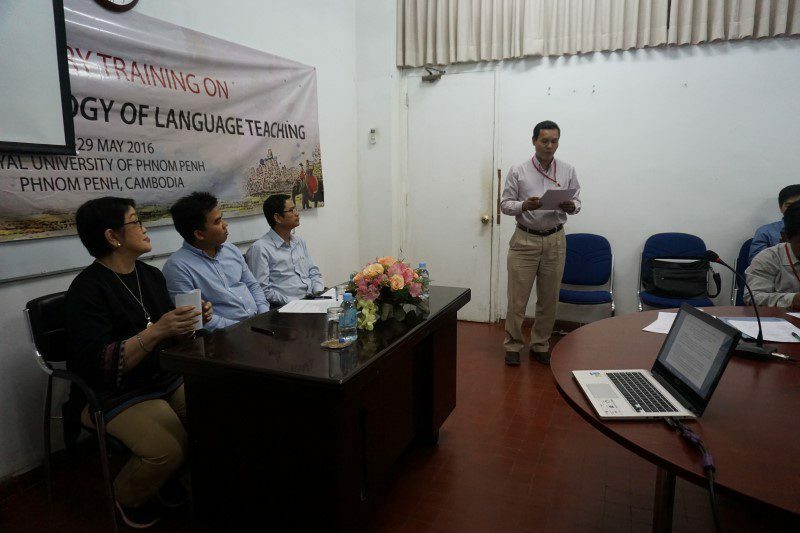 Twenty nine participants comprised language educators from four different languages, i.e. English, French, Korean, and Thai, were very attentive and enthusiast in receiving information, giving feedbacks, and discussing various alternatives of designing research proposals for their own perspective. Coming from different institutions located in Phnom Penh, namely the Royal University of Phnom Penh (RUPP), Teacher Training Department (TTD), National Institute of Education (NIE), Phnom Penh RTTC, Phnom Penh PTTC, the participants had their first experience for attending a training organised by a SEAMEO regional Centre. As for the trainers, they all came from Indonesia: Dr. Felicia N. Utorodewo (SEAMEO QITEP in Language), Dr. Nur Arifah Drajati (SMA Lab School Jakarta), and Ms. Raden Maesaroh, MPd (Indonesia University of Education). Picture 3. Ms. Raden Maesaroh explains the importance of writing literature review as part of research proposal. During the five-day training, the participants were given a variety of materials aimed to sharpen their knowledge as well as critical thinking skills by reviewing and analysing action research reports, identifying research problems, writing research questions, writing literature review, and analysing data techniques. Likewise, they had a chance to write and present their proposals’ draft. Besides, the training emphasised on language educator’s ability to observe and analyse the problems and changes happen in their classroom and turn these into something fruitful to facilitate the betterment of their teaching skills. 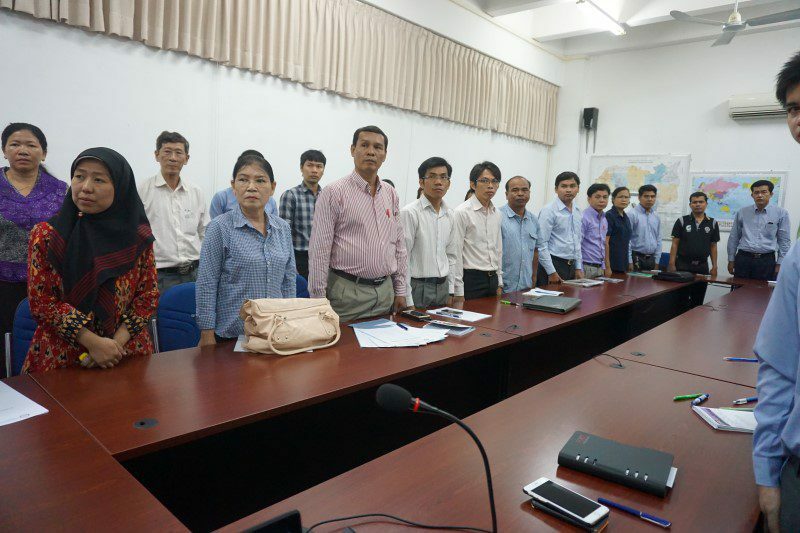 At the end of the training, as a participant’s representative, Mr. Ponn SokHeng expressed his sincere gratitude to have been invited to the event which he taught was useful and important for all teachers. He stated that there are possibilities which will be achieved in broad areas if the action research was applied in their classroom, i.e. integration of language skills, focus of the language form, understanding student motivation, and development of writing skills. Picture 4. Mr. Ponn SokHeng expresses his gratitude for being a training participant.